I and my son recently returned from attending the Disney Social Media Conference at Disney World. While Disney World and the conference were awesome, we both returned home exhausted from way too my fun - and walking. So the last thing that I feel like doing right now is cooking. So I am very glad that I have some healthy quick meals to eat in my freezer courtesy of BuzzAgent. BuzzAgent picked me to review Bon Appétit™ Steam-Baked Meals which offer perfectly plated, chef-inspired meals that cook in parchment pouches, the classic French cooking technique. As the meal is cooking in the parchment, steam bakes the food quickly while retaining the flavors, nutrients and moisture from the food and sauce. I have reviewed Bon Appétit™Steam-Baked Meals in the past and I found them to be just as advertised - easy to cook and plate, great looking and delicious. 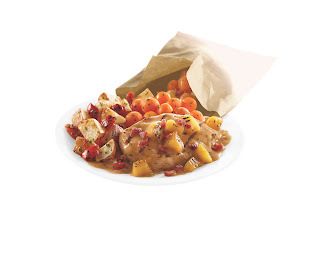 All Bon Appétit™Steam-Baked Meals come with vegetables, a meat and a starch in flavorful sauces. Two pouches are in each package and the meals retail for $8.99 but I found that the everyday price for the meals at Walmart are under $8. In the past, I have tried the Bon Appétit™ Rosemary Chicken and the Creamy Pesto Chicken. So this time, I wanted to try a different variety. Looking through the selection at my local Walmart, I decided to try the Bon Appétit™Smoked Apple & Bacon Chicken. 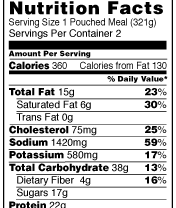 The photo of the meal on the bag looked wonderful and I could not wait to try it out for myself. Each Bon Appétit™meal bag contains two complete meals which can be cooked either in the microwave or in a traditional oven. I cooked my meals in the microwave and they were totally cooked through in only seven minutes on the high setting. Plating each meal is easy. I just cut open the bag with scissors and poured the contents onto my plate. Bon Appétit™meals are one of the few frozen meals where the actual cooked meal comes out looking exactly like the photo on the bag. And the food tastes just as good as it looks. 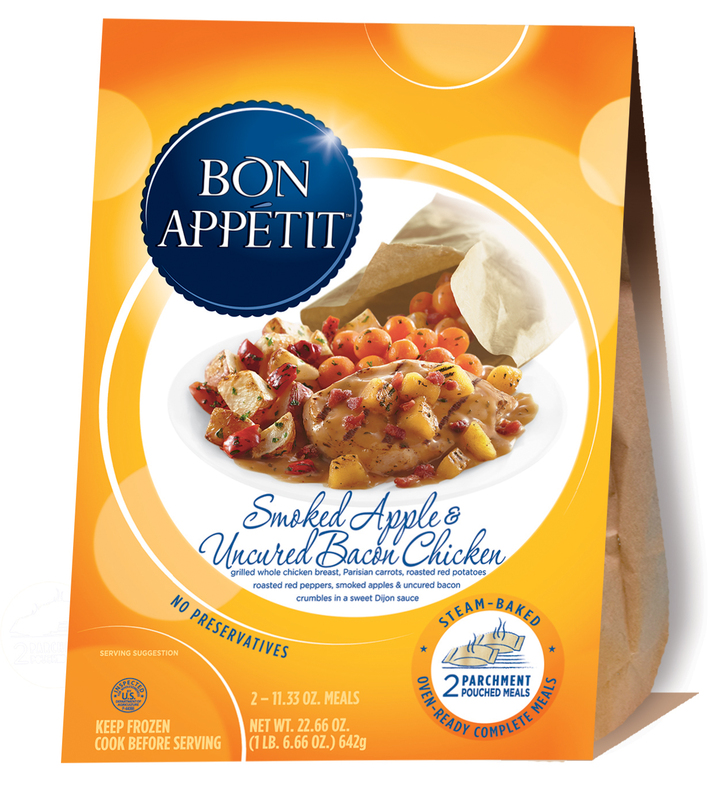 I loved the Bon Appétit™Smoked Apple & Bacon Chicken meal. Everything was cooked just right. The chicken was moist and easy to cut. And the potatoes, parisian carrots, apples, red bell peppers, and bacon crumbles were fabulous. It was all so good that that I cleaned my plate in no time. Since I am trying to cut calories, I really loved that the Smoked Apple & Bacon Chicken meal is only 360 calories, 15 grams of fat and 4 grams of fiber. The only criticism that I have of Bon Appétit™meals is that they, like most every frozen meal, contain a lot of salt. Bon Appétit™ Steam-Baked Meals are available nationally at Meijer, Walmart and Spartan stores. Here’s a link to a $2 off Bon Appétit™ Coupon to help out everyone that wants to try out Bon Appétit™ Steam-Baked Meals while also watching your food budget. Disclosure: I was given two FREE product coupons by BzzAgent so that I could try out Bon Appétit™ Steam-Baked Meals. I was also sent a Bon Appétit™ chef hat. All opinons are my own.